A new upgraded feature has now integrated in new Facebook version of Windows Mobile Touchscreen. Many of the features which are already available on iPhone Facebook are now available for Windows Mobile (WinMo) touchscreen phones. Many new facebook app versions are available for many mobile phones available but people really like iPhone Facebook version and now Windows Mobile also supporting some of the popular features of facebook. Currently 100 million Facebook users are currently accessing Facebook on their mobile or smart phones. Comment and “Like” Wall items. Share photos and status updates to Windows Live sites. 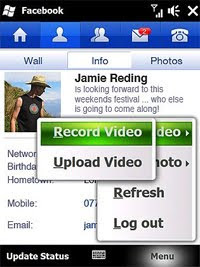 Upload pictures and video taken directly from the phone. Manage your profile, including updating profile pic. Send messages to Facebook friends, or calling them. Install the app on a memory card instead of native phone memory. (This is due to a recent change in Microsoft’s Windows Marketplace, not from the Facebook 1.2 app per se.) If you’re a Windows Mobile user, you’ll need to download the new Marketplace client to your handset to have the ability to install to your memory card. 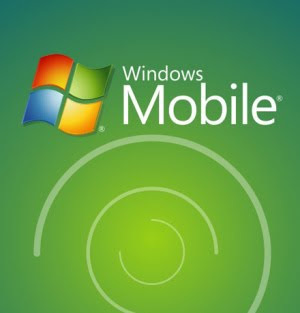 You can download the app from the Windows Phone Marketplace.